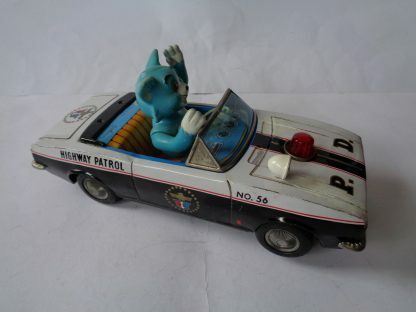 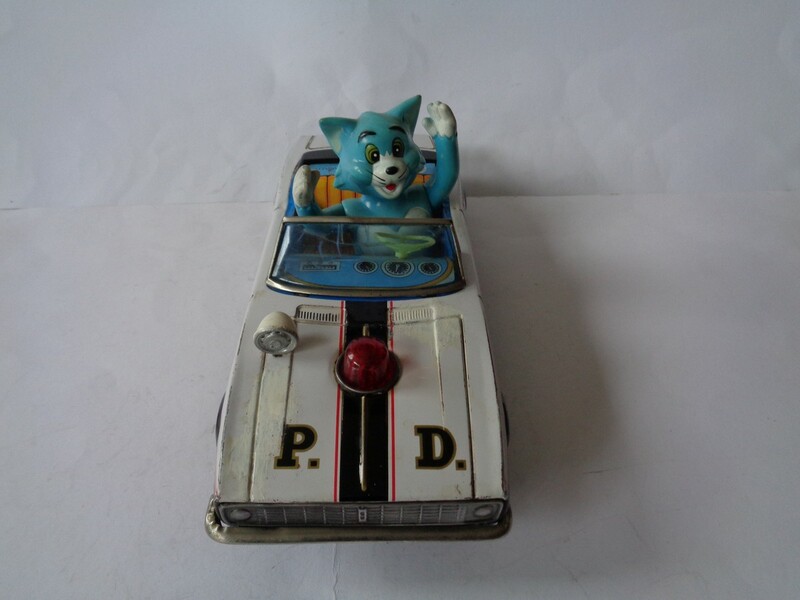 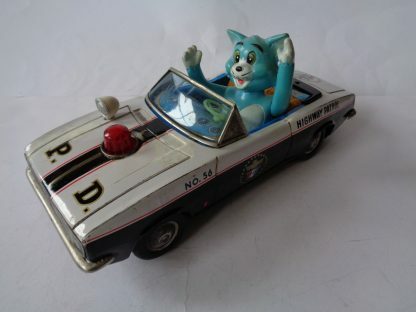 A nice Chevrolet Camaro Highway Patrol Cabriolet with Tom from Tom & Jerry. 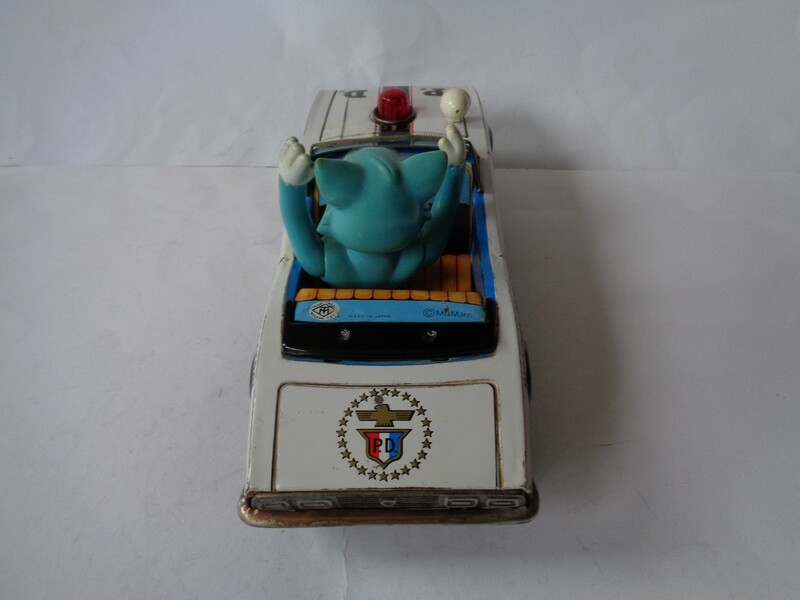 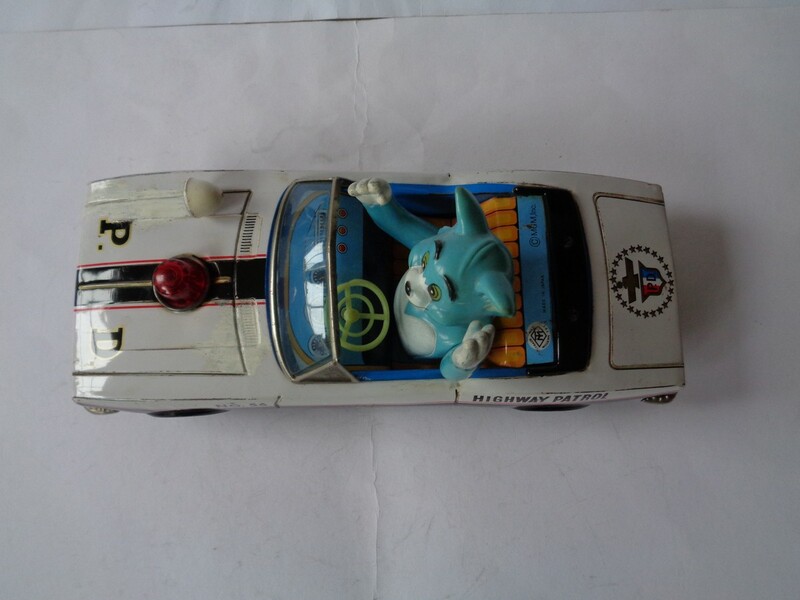 It is an original MGM Inc. tin toy. 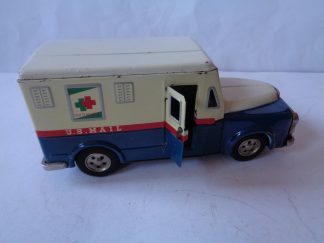 Window is broken and some paint damage on front. Battery-operated, working. 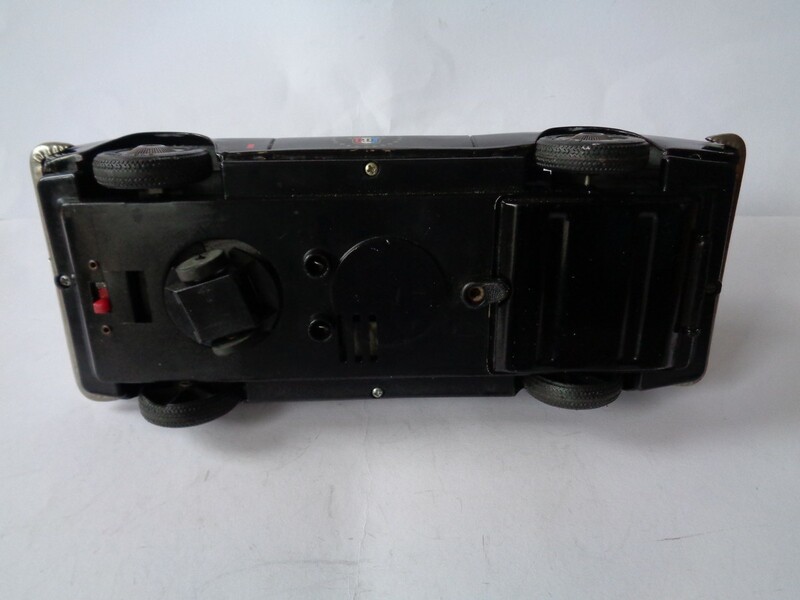 Bump & Go, light and sound. 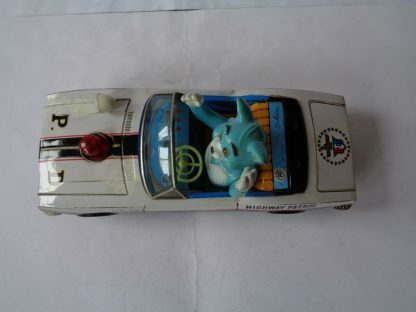 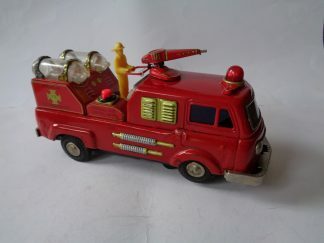 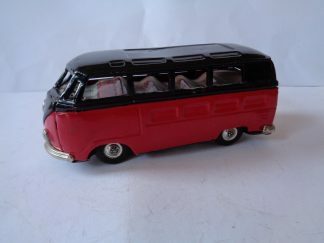 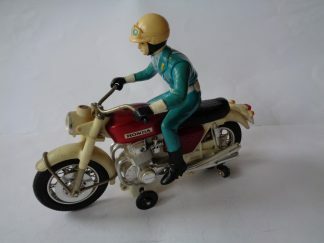 A very rare tin toy, never seen before.